Explaining the past to shape the future is a basic tenet of any mature political process. Outside Spain, other European countries are increasingly able to face up to their own dark history. Visitors to cities such as Berlin, Nuremburg or Lyon, for example, will find world class museums that deal candidly with their role in the 20th century, and Liverpool’s museum of slavery sheds light on a shameful episode for the British. Yet in Madrid there is not a single information point or visitor centre attempting to tell the history of the civil war. The PP administration is unable to deal with the diversity of claims on the past and so it prefers to try and lock down any discussion at all. 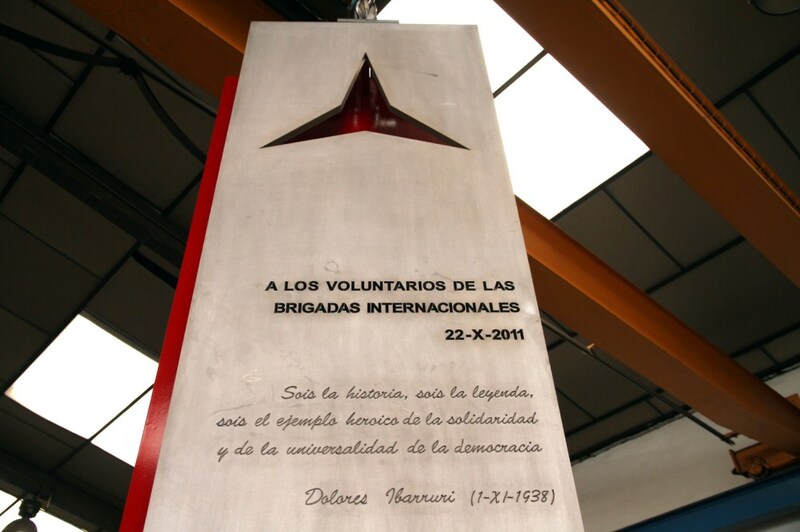 Indeed, many streets still bear the names of Franco’s accomplices, yet disturbingly, it is the solitary monument to the International Brigades that is targeted. How can Madrid advertise itself as an “open, diverse, and transparent city of the future” if it promotes an asymmetrical narrative of the war, actively suppressing any public display that might challenge this narrative through a shady interpretation of the law. To sign the petition protesting the IB Memorial’s removal, click here. To read previous Volunteer coverage of the IB Memorial, click here.